Narrative Made is a contemporary womenswear brand that partners with artisan communities in the developing world. The collection features beautifully crafted dresses and separates that provide a fair channel for artisans to work with traditional skills. Each item in the collection incorporates hand pleating, double sided blackwork stitching, satin stitch embroidery, Dheu quilting or traditional indigo dying. The collection exudes an Asian minimal aesthetic, combined with a Zen like simplicity and clarity of design, while combining detailed handwork in a completely modern way. 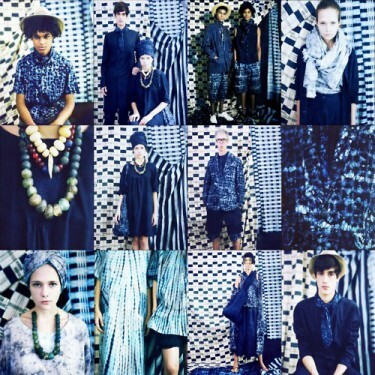 Exploring heritage textiles and the people that make them, forms the root of the brand DNA. 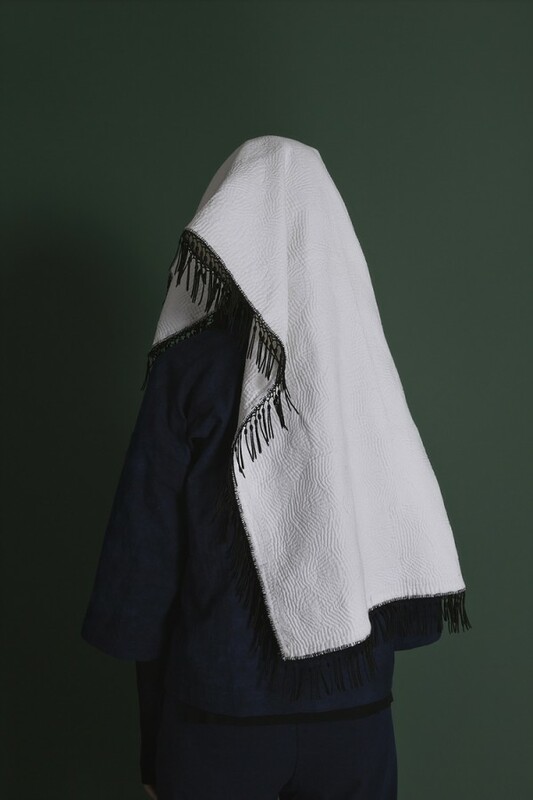 Reveling in telling the stories of makers and artisans from around the world, Narrative Made weave together generations of culture, history, and technical skill through the collection. The weaving techniques, hand stitched motifs, and natural dyes each reflect unique identities. Founded by Sharon de Lyster in 2015 and based on the discovery of a passion for indigenous people and heritage craft, the brand focus on sustainable fashion, promoting economic empowerment and the preservation of craft. Working in Guizhou, China and Rangpur, Bangladesh, Lyster specializes in working with a small but rich range of traditions and techniques. 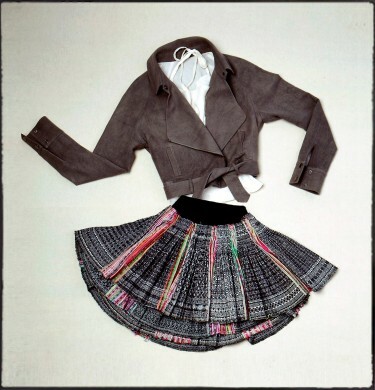 Fine hand pleating is a tradition of Guizhou, and the Miao people who use their textile heritage as a means to record and communicate culture stories from one generation to the next. 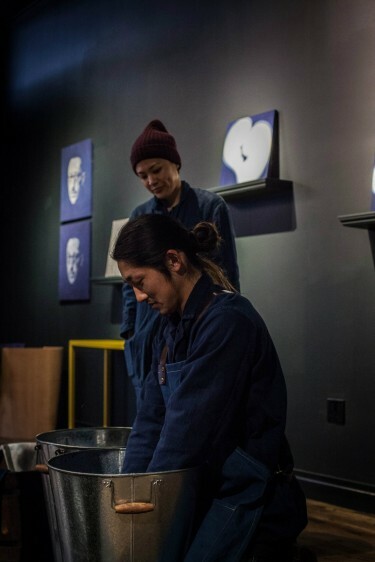 The fine pleating technique uses five meters of indigo dyed fabric, individually pleated using a large pin, and taking up to three weeks to complete. Double-sided blackwork is a type of embroidery also practiced by the Miao that incorporates a cross stich technique sewn with black thread onto a white ground. The stitches depict motifs on both sides of the fabric, and feature the Miao’s view of the universe from the mountains and fields of Guizhou. The final technique from Guizhou is satin stich, worked by counting the threads of the base fabric, and performed on the reverse side of the textile. Natural indigo dying and Dheu quilting are two techniques utilized in the collection and produced in Rangpur, Bangladesh. Dheu quilts produce a repetitive ripple pattern created by using increasing layers of khadi fabric and a repetitive patchwork stitch. A specialty of certain regional communities it the Northwest and Southeast of Bangladesh, the work is rich and textured. 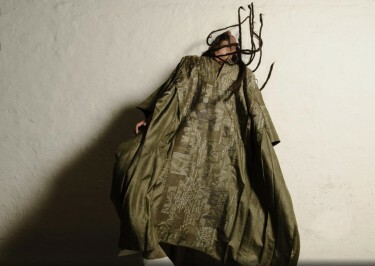 African fashion brand KISUA specializes in showcasing the continent’s brightest design talent to the rest of the world, creating exclusive capsule collections in collaboration African designers. 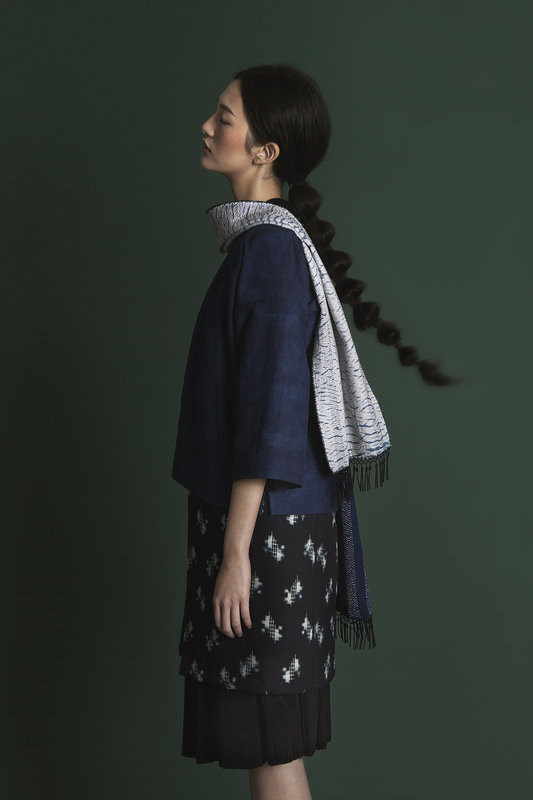 New Delhi design brand 11.11 was founded as a coherent and meaningful fashion collection producing ethical products while ensuring the sustainability of the local economy.